Recently I have done a little bit of shopping around as well as updating my wardrobe with some of my autumnal clothing that had been put away over the summer in order to really kick start my autumn fashion for the new season. I tend to filter a lot through from past seasons as I love a lot of the clothes I have and don't want to end up spending a lot of money on new clothes just for the sake of it. That being said there are definitely some pieces I have been eyeing up that I haven't bought yet. I wanted to share an autumnal update I have done on my wardrobe and show some key pieces I am loving. 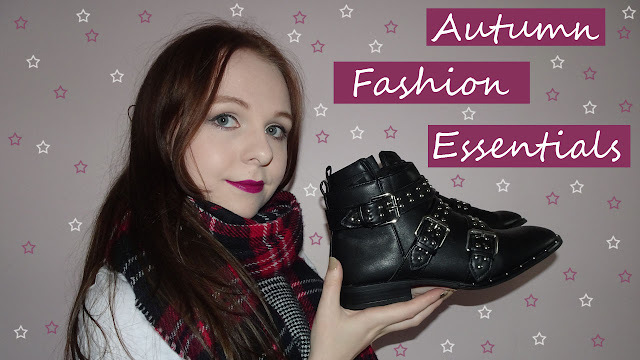 If you don't already know I have a YouTube channel, and on there I recently shared 5 autumnal essentials I have in my wardrobe every year without fail. 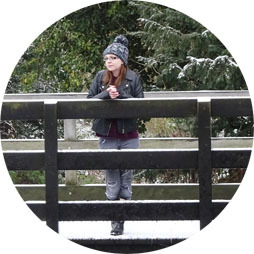 I have linked the video here if you want to see it in order to give you some ideas about what I love over the slightly colder months as we move through autumn and into the depths of winter. I had so much fun sharing my favourite pieces and definitely will be sharing more fashion related things on my channel as I have had a good response. I went shopping and bought a couple of new bits, I am really struggling with the things in store at the moment, I found a lot of nice things I liked and either they didn't have my size or they just didn't suit my body shape when I tried them on which is a real shame as there were some really nice bits. I have decided to keep popping in the shops and seeing what they have regularly in order to see what else I can pick up. I only managed to get a skirt and a jumper, but there was a lot more online that I was hoping was in store so maybe I will have to do an online order to see what else I can get. First up I found a jumper that I fell in love with, I have to tell you my husband said he wasn't keen on it, but I love it. He did say it was nicer on when I tried it on, and so I think he was more convinced, but I think I just loved it and if I didn't get it I would regret it and when that happens I go back and they never have it again! It happened with a shirt in Asda a few weeks ago I waited and when I went back it was like it never existed! The jumper looks quite shapeless like this but looks so much nicer on. I then managed to get a skirt, this is one that I was unsure about but wanted to put in my try on pile while in store as I thought it was worth a try, and it was the only one of the three skirts I tried on that I bought so I think that speaks volumes! It is a black corduroy skirt, it isn't the typical material I would go for, but I really like it and I think its nice to have something different in my wardrobe for a change. I think because it is black you see less of the corduroy stripe in the material from afar, and so it makes it a little less obvious, which I prefer, but I actually don't have a plain black skirt in my wardrobe so I think it is something I was lacking and I am glad I now have one to style. While I didn't get much I want to go and have a real good shopping trip and really update some of my wardrobe as it needs a good overhaul especially once it gets more into winter weather as I can just about manage with most of my transitional pieces I have without having to spend too much, but I think I could easily have a big shopping trip and buy lots more if I had the funds and the time to go somewhere further afield than my little home town! I would love to know what bits you have that are new, so be sure to let me know in the comments and link me to a post or video if you have one!